You need to be a member of Newport Artists, Performers and Creatives to add comments! Outdoor arts specialists Walk the Plank are looking to fill 3 Freelance, fixed-term posts for Wales Millennium Centre’s 10th Anniversary Event. 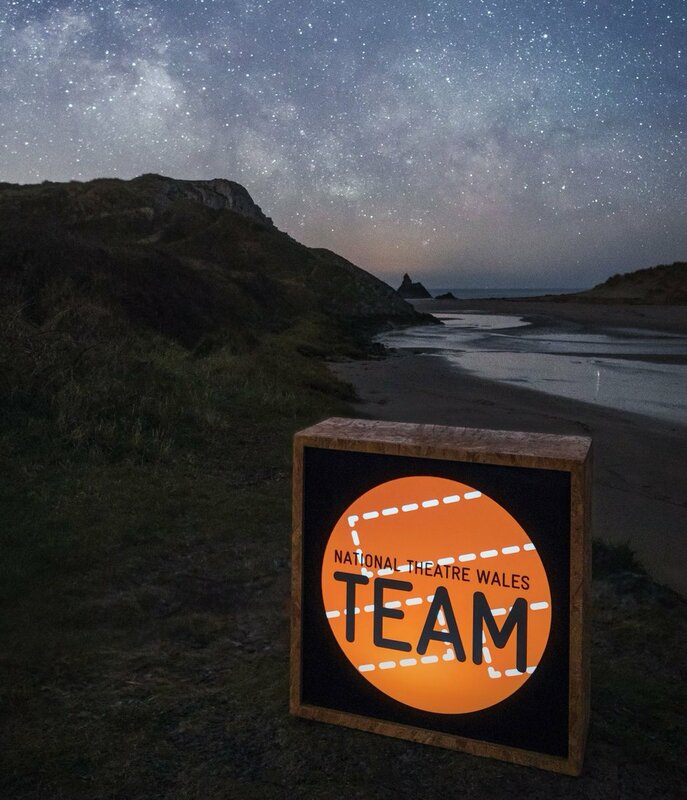 Walk the Plank is a leading outdoor arts organisation renowned for its pioneering creative approach and commitment to engagement and participation. We have been commissioned to deliver a high-profile ‘moment’ for Wales Millennium Centre’s anniversary programme in September 2015. We're looking for a Costume Designer to work in collaboration with the Artistic Director, Designer, Creative Producer, and other creative associates to create all costume elements for the events. We're looking for a Digital Artist to work in collaboration with the Artistic Director, Designer, Creative Producer, and other creative associates to create all digital elements for the events. We're looking for an experienced Marketing & Communications professional to project manage the practical development of key marketing and communications activity associated with the event, ensuring all activity is delivered on time, within budget and to suitable standards / guidelines. Salaries are dependent on experience. No agencies please. Hi everyone I'm Mikayla McCarthy I'm with The Ghost Room Theatre Company based in Newport. Currently we are working on a play we have written called An Evening with Poe and are in need of 4 male actors. The play is a sort of murder mystery with our own ghost room spin on things, we like to perform in venues that fit the setting of the play, for example one of our past plays The Dragon's Backbone was set in a tavern and so we performed it in the upstairs of a social club. The play we are doing; An Evening with Poe is about a group of aristocrats who have gathered together sharing their love of Edgar Allan Poe and to hear the renowned story teller Miss Aveugle recite some of Poe's works, but things turn sour and someone loses their life while a set of jewels are stolen by the elusive thief The Raven and it is up to blind storyteller Miss Aveugle to deduce who both the murderer is and the identity of The Raven. There is an element of improv. required, but not much as it's 95% script. As I said we are looking for 4 male actors. We rehearse in the centre of Newport so easy to get to, we cannot pay you or pay expenses, but this is an opportunity not to be missed, please message me for more details if you wish. The Mr and Mrs Clark Medicine Show is in Newport next week as part of Comedy Port at the URBAN Shop Project in John Frost Square 12th and 13th October. Tickets from the Riverfront are just £5. The Medicine Show, often run out of town, believed to be the bringer of disease or ill at ease, is the last bastion of hope for the balding, the infirm or the impotent. Mr and Mrs Clark's Medicine Show is an alternative to alternative therapy. It is a performative pill box for the love sick, the aching boned and the snake bitten. A show where you, the audience, are in our prescriptive minds and we want to help you all. We want to remedy your ailments or scare them clean away. In desperate times we cling to desperate measures. “Great. Unpredicatble and so engaging – I was hooked from the start and enjoyed the mayhem.” – Audience feedback from Incling, Wales Millennium Centre August 2011. Mr and Mrs Clark present their Medicine Show, developed through The Incubator Project at the Wales Millennium Centre and with the support of Miligi’s Cardiff and Ricky White.